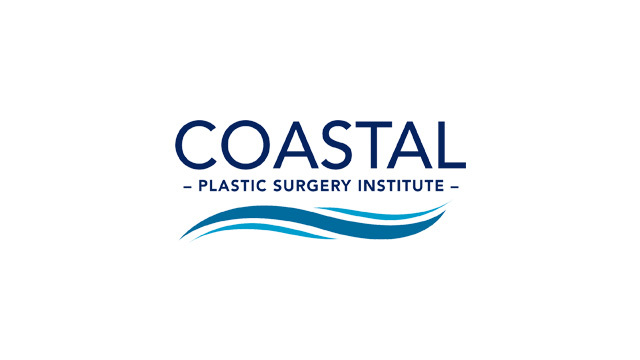 Coastal Plastic Surgery Institute provides the highest level of cosmetic plastic surgery and skincare services in Panama City Beach, Florida. At Coastal Plastic Surgery you can expect excellence at every level. We will make every effort to ensure your visit is comfortable and informative. Our brand-new practice provides the latest in technology in order to give our patients the best results. We believe that the purpose of our endeavors is to build a satisfying, long-term relationship with our patients which will allow them to attain their goals. Our practice custom-tailors each procedure to the individual patient, and our entire team is here to give you the best possible care. We will be with you every step of the way, from the initial consultation to the recovery process, to ensure that your needs are being met. Please contact Coastal Plastic Surgery Institute at 850-233-7674 for more information on treatments and procedures designed to keep you looking your best! Dr. McAllister is a plastic and reconstructive surgeon who specializes in the art of aesthetic plastic surgery. He received his undergraduate degree in Biology at the Florida State University and went on to complete medical school at the Kentucky College of Osteopathic Medicine. After an internship in the SUMMA Health System at Western Reserve Hospital, Dr. McAllister completed a general surgery residency in the SUMMA Health System in the Akron/Cleveland, Ohio area. During Dr. McAllister’s surgical residency training, he was honored with several awards. The Ohio University Outstanding Resident Award, Chief General Surgery Resident of Western Reserve Hospital, and the Ohio University College of Osteopathic Research and Education Scientific Paper Award to name a few. After finishing his general surgery residency in the SUMMA Health System at Western Reserve Hospital, Dr. McAllister began a challenging fellowship in plastic and reconstructive surgery at the Philadelphia College of Osteopathic Medicine. His training encompassed all aspects of plastic surgery, including hand, burn, craniofacial, wound care, micro-vascular, pediatric, reconstructive, trauma, and cosmetic surgeries. Dr. McAllister was chosen Chief Fellow of Plastic and Reconstructive Surgery and oversaw the training of plastic surgery fellows, general surgery residents, oral and maxillofacial surgery residents, and medical students at Hahnemann University Hospital (Philadelphia, PA), Westchester Medical Center (Valhalla, NY), St. Christopher’s Hospital for Children (Philadelphia, PA), Crozer-Keystone Health System (Philadelphia, PA), and St. Mary’s Medical Center (Langhorne, PA). During Dr. McAllister’s fellowship training, he received national awards in plastic and reconstructive surgery including first and second place symposium presentations at the American College of Osteopathic Surgeons Annual Clinical Assembly in San Francisco, CA and Atlanta, GA.
Dr. McAllister is highly respected for accomplishments in breast reconstruction after mastectomy as well as a wide range of cosmetic surgery procedures. He takes pride in his reputation as a compassionate, highly skilled surgeon and he strives to make patient education and empowerment a focal point of his practice. Dr. McAllister is actively on staff at Sacred Heart of the Emerald Coast (Destin, FL), Gulf Coast Medical Center (Panama City, FL), and Bay Medical Center (Panama City, FL). While involved in various cosmetic and reconstructive procedures, Dr. McAllister also offers services at all three facilities in wound care, and also utilizes his skills in hyperbaric medicine at Bay Medical. Kyle Rountree is a graduate of Troy University in Troy, Alabama. While working in the emergency room in Georgiana, Alabama as an Registered Nurse, Kyle received his Masters of Science in Nursing to become a nurse practitioner in family practice. 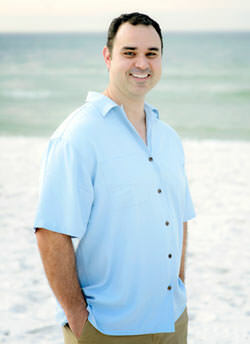 Kyle has been trained in botox, fillers, and laser treatments by Board certified plastic surgeon Andrew McAlister. Kyle has learned from the best in order to provide a more aesthetically pleasing appearance while having the opportunity to work with Dr. McAllister. Kyle also specializes in cellular medicine for pain therapy as a surgical alternative to those who choose to find noninvasive treatments in pain relief. He is also an avid researcher in nutrition and fitness for weight loss. Kyle believes that medicine should be practiced scientifically. Kyle’s belief is that sometimes surgery is necessary, but also feels there are safer, less expensive and time consuming alternatives that should be tried first. 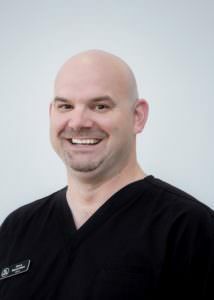 Kyle works very closely with David Harshfield MD, who is a world renowned interventional radiologist Together they are helping to alleviate previous conditions such as knee pain, shoulder pain, and back pain, TMJ etc. in a non-addictive and non-surgical manner. Other treatments include Plantar Fasciitis, rotator cuff injury, headache pain, carpal tunnel, etc. In his spare time Kyle enjoys time with his wife and four daughters. As a former collegiate athlete, he likes to stay active whether practicing lacrosse, soccer, basketball, or even volleyball with his girls. Kyle also enjoys doing MMA and has trained some high school, collegiate, and professional athletes on weight training and nutrition. There is nothing that cannot be accomplished with the right training program and motivation. Kyle has a blog that appears on both the 30A Medical Spa and Coastal Plastic Surgery websites respectively, which gives tips on health, diet, hormones, beauty, and fitness. Geneva received her Cosmetology License in Maine at Pierre’s School of Cosmetologist (Empire Educational Group) and has been licensed for 10 years. She loves all aspects of Skin Care and enjoys helping people look good and feel good. She does everything from Facials, Body Treatments and Body Waxing. Her expertise is in Brazilian Waxing for Men and Women. She is known for making this waxing procedure as comfortable as possible through her excellent techniques. 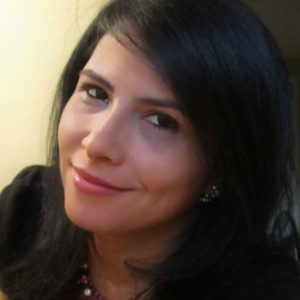 She incorporates aromatherapy in her treatments to elevate relaxation and overall wellbeing and is very passionate about her work. Geneva has also been a Martial Artist for many years and is a 3rd Degree Black Belt in Taekwondo.